Many people are Christians in the same way they’re a Californian or an American. They were born and raised in the church yet are unable to answer any pressing questions people might ask about Christianity. Today’s culture is increasingly skeptical so we must have answers that stand up to aggressive challenges. 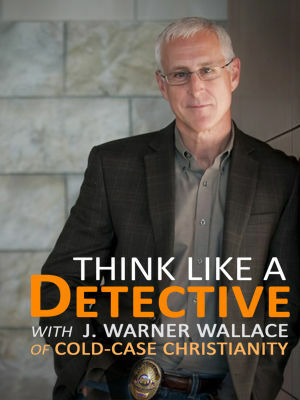 In this opening video, Cold-Case Detective J. Warner Wallace discusses the importance of “testing” the truths of Christianity, asking why people say they’re Christians, and understanding the difference between experience and evidence when explaining what we base our belief on. Much as police officers are committed to their duty to serve and protect, Christians need to understand and accept their roles as servants and protectors of the Christian faith. Every day is a call to action, so we must decide whether our Christian identity is unimportant or critically important. Would you be able to build a solid, evidence-based case for your belief in Christ? What objective evidence for the truth of Christianity could you provide beyond your own subjective personal experience? What is the role of faith with evidence? Training in law enforcement is essential because officers deploy regularly. With the increased aggressiveness of secular culture, Christian culture is more vulnerable than ever before and we’re losing the next generation. To best articulate and defend our beliefs, it’s time for us to rethink our approach—to stop teaching and instead start training. In this video, the benefits of preparation and training, over merely absorbing information, are explored. What does T.R.A.I.N. stand for? Similar to cold-case investigations (events in the distant past), the truth claims of Christianity can be bolstered by applying solid investigative techniques. In this video, Cold-Case Detective Wallace examines Christian case making on the basis of the available evidence, studying the “casebook” from cover to cover, extraordinary claims and ordinary evidence, and taking notes to analyze data. What is a forensic faith? How can you develop your faith? When building a case through examining evidence, a written summary (or list), can become a powerful tool when the pieces are considered collectively. The same process of organizing gathered evidence can be used to build a cumulative case for the claims of Christianity. The amount of evidence available to us might seem overwhelming, so where do we begin the process of summarizing and organizing it? What external sources will corroborate the evidence we’ve collected? When presenting a court case, no matter how well you research your case and how convincingly you communicate the argument, it’s wise to consider who your intended audience will be. It’s also true for those who hope to present the case for Christianity to friends, family, and others. What are the ways to make success more likely when presenting the case for Christ? What part does our attitude play? How do we know where to invest our case-making efforts? Similar to jury instructions regarding evidence during closing arguments, people who hear the case for Christianity also benefit from evidential instruction. There are rules of evidence that also apply in Christian case making. What are these rule of evidence, and how can they assist with building a cumulative case for the truth claims of Christianity? What is the difference between direct and indirect evidence, and which one is best? For many people, public speaking is a challenge, but we all are eager to do our best and present our Christian cases with confidence, clarity, and conviction. In this final video, Cold-Case Detective Wallace discusses how to make an opening statement with enthusiasm, keep your audience engaged, prepare and practice, make good on your promises, make your presentation accessible, and close your argument with confidence. Are you ready and prepared to present a case for your Christian beliefs? Many Christians encounter claims denying the existence of God. "There's too much evil in the world for God is exist." "The Bible is just a bunch of made up fairy tales, none of that really happened." "We don't need God, we have science." These comments are heard frequently, but how should we respond? Answers like "just have faith" or "the Bible says it, so I believe it" just don't cut it anymore, especially with non-believers. Christians must understand why we believe what we believe. The evidence is there, we simply need to study it! 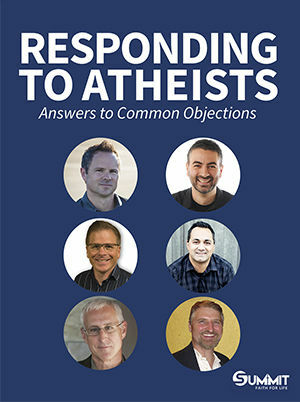 In this series, you'll learn to graciously and confidently respond to common objections that atheists and skeptics often hurl at believers. You'll learn from experts in apologetics like author and international speaker Dr. Sean McDowell, former homicide detective and best-selling author J. Warner Wallace, and others. Christianity is based on a claim about an event from the distant past for which there is little or no forensic evidence. Learning how to apply cold-case investigative skills allows us to examine the evidence and discover the truth. Detective J. Warner Wallace discusses controlling presuppositions, understanding the difference between “possible” and “reasonable,” and employing abductive reasoning. By understanding direct and circumstantial evidence, we can better judge the strength or weakness of a case. The eyewitnesses of the Gospels observed uniquely powerful and memorable events and provided us with accounts that can be tested for reliability. In this episode, Detective Wallace answers: Do apparent contradictions between the Gospels make the Bible unreliable? Good detectives learn to pay attention to word choice. With no original copy of the gospels and differences between the ancient manuscripts we do possess, it’s crucial to investigate the many manuscripts available for the message of Scripture. If we know how to separate the artifacts from the evidence, how closely can we return the biblical “crime scene” to its original condition? Skeptics of Christianity challenge the nature of truth, demand evidential perfection, and employ a culturally winsome attitude. Understanding what’s required for a successful conspiracy is just one tool to combatting false theories and being prepared with tactics. How ready are you for attacks on the truth of Christianity? Juries test witnesses for reliability. The first test is simple: was the witness really there? We can test the gospel writers in the same way. By recreating a Gospel authorship timeline, this evidence can evaluate the gospel writers and infer an early date of authorship. Were all four Gospels recorded early enough to have been written by eyewitnesses? Both internal and external evidences support, verify, and corroborate the claims of the Gospels. Detective Wallace defines both internal (unintentional eyewitness support, names of cities, and individuals) and external corroboration (archaeology, ancient non-Christian authors). Are the claims made in the Gospels supported by both? Time often exposes eyewitness inaccuracy or lies. It’s important to examine the Gospels for honesty and accuracy over time. This “truth about lies” helps us evaluate the Gospel authors and their claims. If we apply the “chain of custody” concept, do we have confidence that the major attributes of the life of Jesus accepted as canon were described early and never changed over time? Were the disciples lying about the resurrection? What did they hope to gain? Studying the issue of motive allows us to test for any eyewitness bias among the early Christians. Applying the three basic motives behind any kind of misbehavior (financial greed, sexual or relational desire, and pursuit of power), were the writers of the Gospels too biased to report the history of Jesus truthfully? J. Warner Wallace was a committed atheist for 35 years and a cold-case homicide detective. 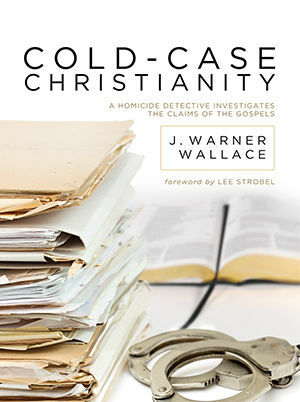 Detective Wallace decided to examine the evidence for Christianity by applying the same techniques he used to solve his cold cases. He set out to solve the most important cold case in history—the death of Jesus Christ. Through his investigation of the New Testament, specifically the eyewitness accounts found in the Gospels, Jim was convinced by the evidence and became a Christian. Now he wants to train you to THINK LIKE A DETECTIVE! Join Detective Wallace in this exciting series as he provides answers to some of the toughest questions that attack the Christian faith as you are trained to become a Christian case maker. Learn to Think Like A Detective and be prepared to give an answer to everyone who asks you to give the reason for the hope that you have. To learn more about Detective Wallace and Cold-Case Christianity, click here.